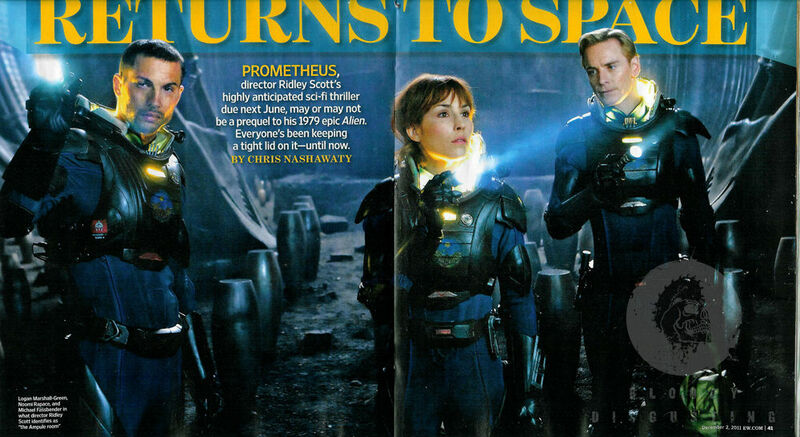 We finally have our first images from Ridley Scott’s Prometheus, and they are awesome. 20th Century Fox released the images in the upcoming issue of Entertainment Weekly . Prometheus stars Noomi Rapace, Michael Fassbender, Charlize Theron, Idris Elba, Sean Harris, Guy Pearce, Kate Dickie, Rafe Spall, Logan Marshall-Green, Benedict Wong, Emun Elliott, Ben Foster, and Patrick Wilson. The film arrives in theaters on June 8, 2012.